When we decided on a Very Hungry Caterpillar theme for the nursery, I browsed online shops and ebay looking for the perfect little touches to make Archie's room special. I could find wall stickers, but there didn't seem to be many pictures. After using my creative side when we originally did Dylan's nursery, I decided to make Archie some wall art and it was the simplest thing to do. 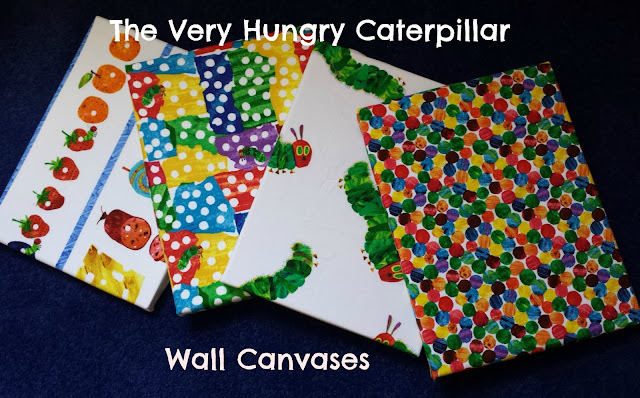 I bought 4 blank white canvases and 4 fat quarters of different Very Hungry Caterpillar fabrics. 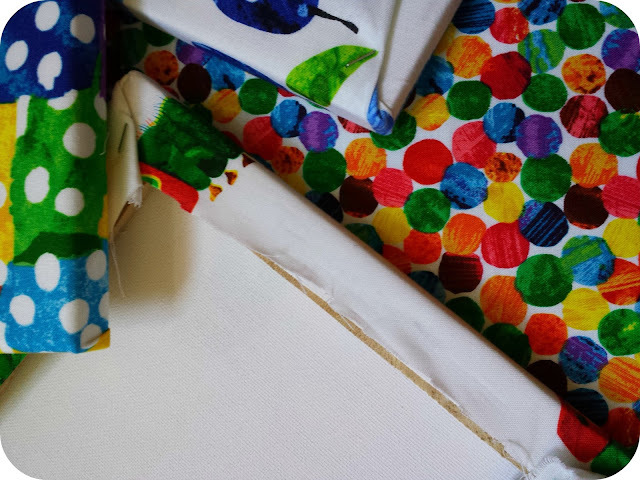 Armed with a heavy duty stapler and a pair of scissors, I had some lovely wall canvases in no time, and enough spare fabric to make a little taggy or sew some shapes on a plain blanket. I think they look fun and are so easy to do that you can make them for any room theme given the right fabric. It worked out only £10 to make 4 new pictures for the little man's beautiful room. These look really good, such a great little craft project! This is a very little craft project; easy and appears good. 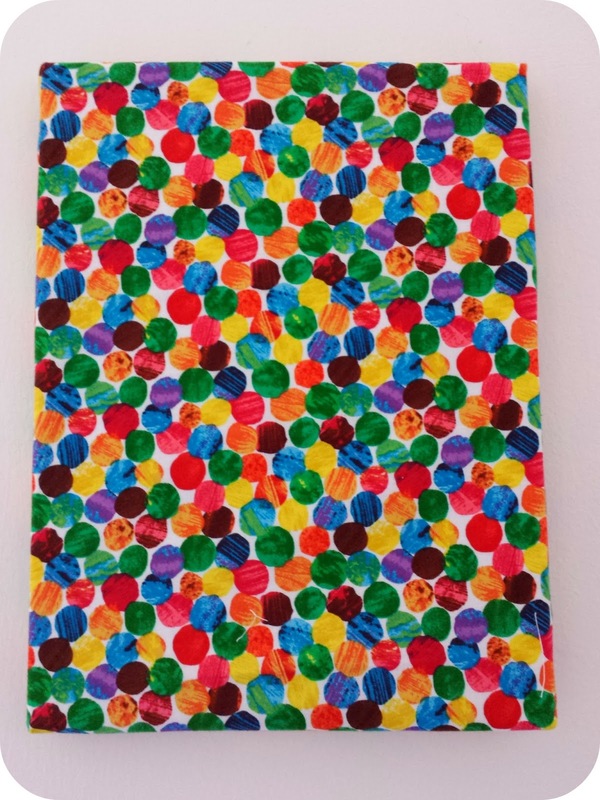 What a good plan for creating very little artworks to match a bedroom theme. Cannot wait to check the complete area revealed. what a great idea! 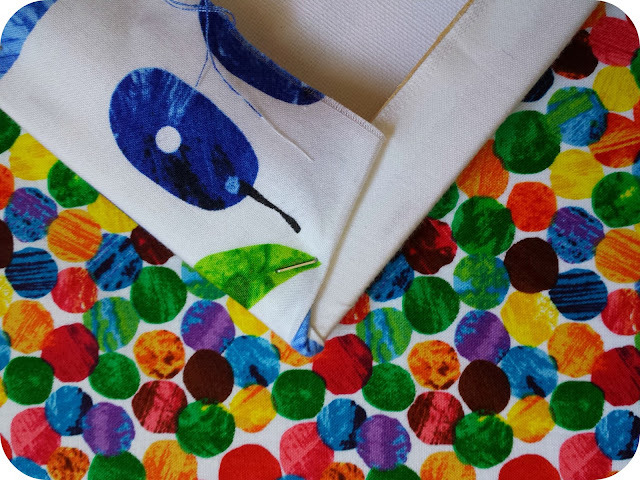 my little man loves the hungry caterpillar.. am sure it makes a massive transformation to children's bedroom.